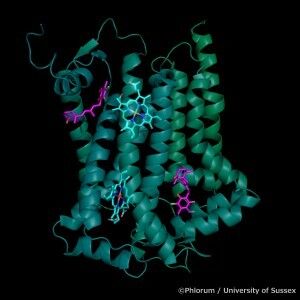 Very recently, a novel compound has been developed in Professor Tony Moore’s lab at the University of Sussex that can inhibit the growth of the Ash Die Back fungus, Chalara fraxinea. This novel fungicide has been independently tested – and proven effective – against the Ash Die Back fungus at the Sainsbury Laboratory in Norwich, which is a world leading centre of plant disease research. The basis of the ability of the compound to affect the growth of the fungus lies in prevention of energy production. The Ash Die Back fungus produces energy via a process known as respiration, which occurs inside the fungal cells within small organelles known as mitochondria. These have been referred to as the powerhouses of the cell, and are present in all eukaryotic organisms (i.e. everything from single-celled algae to mammals). The mitochondrial powerhouses are the sites of respiration and energy production in the fungus; this new fungicide functions to block the production of energy by the mitochondria, which prevents any further growth. Normally, when we think of plant growth or energy production, photosynthesis springs to mind. We know that plants take in carbon dioxide and release oxygen during this process. However, plants also use oxygen to generate energy in the same way as the Ash Die Back fungus – via respiration. At the early shooting stage, Japanese knotweed is capable of growing up to 10cm per day. At this point the plant has very little photosynthetically-active aboveground material with which to produce energy from sunlight. This means that the plant is almost entirely reliant upon respiration for the energy to power its rapid growth. 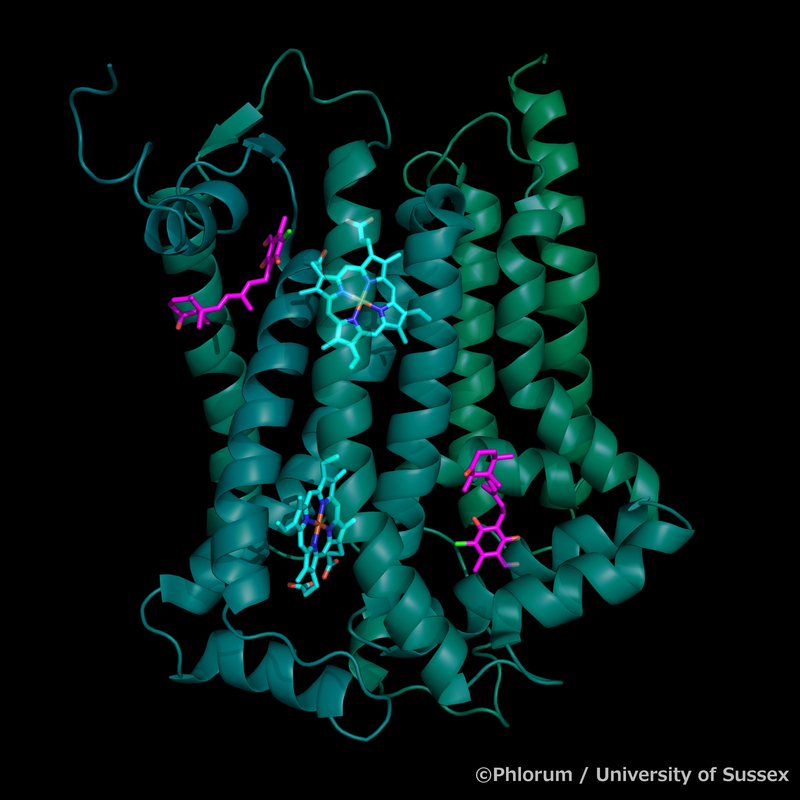 As the novel fungicide functions to block respiration, this compound has potential to be used on Japanese knotweed to do the same job that it has been shown to with Ash Die Back fungus. To this end, Phlorum is engaged with Professor Moore’s lab in research to investigate the mitochondrial biochemistry of knotweed and the potential efficacy of targetted respiratory inhibitors.